In this whitepaper, we will provide you with key points on how to prevent your CDISC Define.xml code from common mistakes using assumptions in the stylesheet; and simple adjustments and more complex examples. 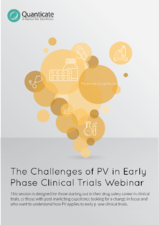 In this webinar we will examine the challenges of rare diseases studies focusing on gene therapy treatments, including appropriate study design, statistical analyses and long-term post-authorisation pharmacovigilance and risk management requirements. 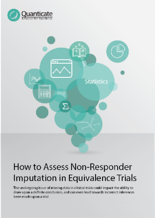 Is Non-Responder the Best Imputation Method in Equivalence Trials? 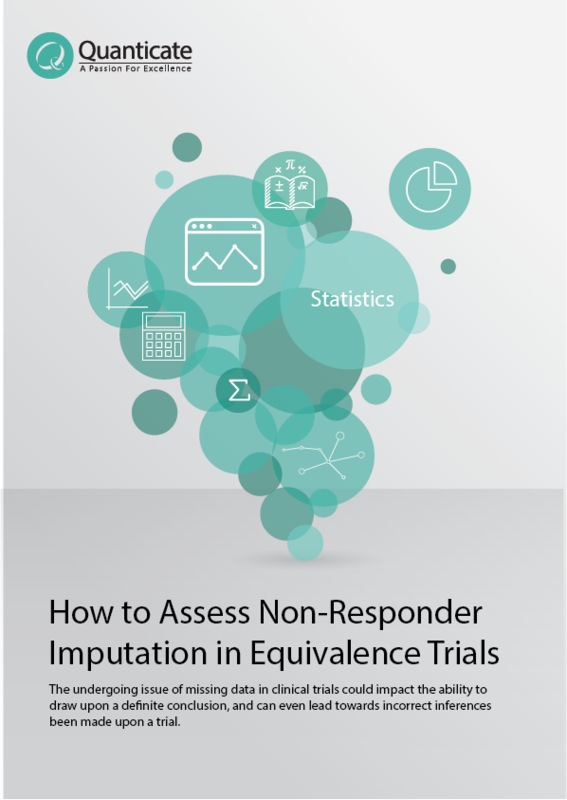 This free webinar will illustrate how to assess Non-Responder Imputation Methods in Equivalence Trials. 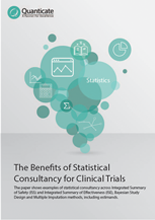 Within this white paper you will be introduced to Statistical Consultancy for clinical trials and the benefits it can provide. Advice may cover issues from study design and strategies, to the analysis of study data and informed interpretation of results. This paper illustrates the benefits of a Pharmacokinetics (PK) Handover Document in PK Studies and how such documents should be customised, detailing, ideally, what kind of information should be contained to transfer PK data between statistics and programming departments. This whitepaper introduces Statistical Monitoring and the creation of the Statistical Monitoring Report in response to a risk-based approach and the recent ICH GCP E6(R2) addendum. This free webinar examines the E2B(R3) regulations and how this impacts database compliance from both a practical and technical perspective. This paper on 'Pharmacovigilance (PV) Literature Searches' explores optimizing search strategies for patient safety and presents the elements and requirements for a successful PV literature search strategy. 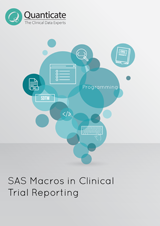 Within this whitepaper, we will look at some of the potential pitfalls with the production of SAS Macros and what makes a successful process improvement project. We will discuss approaches and solutions that we identified to typical problems. This paper on 'Semi-Automated Patient Safety Narratives' explains what to do when a large volume of narratives is required within a restrictive time frame and details how a semi-automated approach to narrative writing can be used to address this challenge. In this webinar, you will learn how implementation, evolution and change management are critical for a successful remote monitoring program. 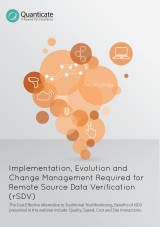 But how does a remote monitoring program harmonize with current Source Data Verification practices? In today’s clinical trial environment you are likely to consider selecting an Electronic Data Capture (EDC) system, with few companies opting for paper based solutions. Yet with the rapid pace of technological advancement, it can prove increasingly difficult to identify the right electronic solution(s) for your study/development program. This ebook will explain rSDV's definition, present explored and piloted practices of conducting rSDV, the shortcomings of traditional monitoring and 100% SDV, and showcase the cost savings that can be incurred, as well as process efficiencies compared to traditional trial monitoring when using an rSDV approach. This paper describes current regulatory requirements with regards to patient safety narratives. It details a proposed process for their development and review and examines ways to lessen the burden of time and cost. This paper reviews the different approaches to sourcing in clinical development. Quanticate is seeing a wide range of sourcing scenarios and this paper assesses these different strategies. In this white paper, we focus on some of the key issues which should be considered when performing pharmacokinetic analyses to prove clinical comparability between innovator biologics and recently developed biosimilars. This paper highlights some of the factors that can influence the cost and demonstrate value when selecting a partner in clinical development. 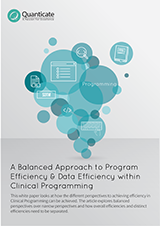 This white paper looks at how the different perspectives to achieving efficiency in Clinical Programming can be achieved. This article explores balanced perspectives over narrow perspectives and how overall efficiencies and distinct efficiencies need to be separated. As the choices for different clinical trial technologies grow, and the existing relationship between a sponsor and a CRO develops, the process of selecting a technology provider needs to examine a range of issues that didn't exist a few years ago. SDTM standards do not always lead themselves well to data capture, this guide looks at using CDASH standards to provide a common ground to facilitate the capture of data when linking processes across clinical data management and clinical programming. PKPD models are becoming increasingly critical knowledge-building tools, not only for late phase clinical trials but throughout the entire drug development process. This article outlines the support needed from medical writers during the design, conduct and reporting of Phase I studies, but also their obligations when it comes to publishing results. 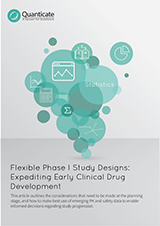 This short article outlines how thorough PK/PD modelling can significantly reduce the risk of failure in Phase 3 trials. If you are planning an oncology study, you will be aware that these studies are more complex than others. Our consultancy team at Quanticate have put together an initial article that outlines the typical challenges presented by such studies and offers some recommendations to counter them. This 14-page article looks at SAS® programming techniques to help you program more efficiently. Size reduction techniques for large datasets are explored to give you smaller sized, faster running, more efficient programs. Traceability - where is your clinical information? This paper outlines why sponsors of clinical trials should re-examine and plan for proper traceability of their clinical information. This 8-page article on Important Considerations for Clinical Development Programmes is for anyone embarking on the development of a new medicinal product. In this 9-page article, Quanticate outlines the issues that can arise in the planning of an Integrated Summary of Safety (ISS) and Integrated Summary of Effectiveness (ISE). This article outlines the considerations that need to be made at the planning stage, and how to make best use of emerging PK and safety data to enable informed decisions regarding study progression. If you are planning a Phase II study, you may find this 8-page article useful as it looks at how the Bayesian framework provides solutions for clinical development teams. This second article expands on how the Bayesian framework is highly appropriate for planning and executing interim analyses in your clinical trial study design. A 4-page article talks about a need to improve pharmacovigilance systems to more effectively monitor and take action on safety issues associated with medicines.